More than half of young adult (YA) (ages 18–26) smokers are non-daily smokers. While standard cessation methods are generally successful with adults and daily smokers, there is evidence that they are not as successful among non-daily smokers or young adults. Additionally, YA smokers are also in a transition period to regular smoking, making research on understanding how interpersonal and environmental factors affect this group of smokers critical. Randomized time location sampling was used to create a sample of New York City YA bar patrons between June and November 2013, who completed a self-administered survey (1,916 surveys). Questions were asked about perceived smoking social norms, stigma, behaviors, and demographics. Overall, almost half of the YA reported being current smokers (44.1%); one-third were non-daily smokers (36.7%) and less than ten percent were daily smokers (7.4%). Non-daily smokers compared with daily smokers had greater odds of believing New Yorkers disapproved of smoking [adjusted odds ratio (ORadj 1.76, 95 % CI 1.10–2.79)], keeping tobacco a secret from certain people (ORadj 1.84, 1.14–2.96) and feeling guilty when smoking (ORadj: 2.54; 1.45–4.45). Non-daily smokers had 41% lower odds of reporting how people who are important to you disapproved of smoking than daily smokers (ORadj: 0.59; 0.38–0.94). Further studies of interpersonal/environmental factors among YA smokers may support modifications to cessation programs that result in more successful YA quit attempts. The authors declare that they have no conflicts of interest or financial disclosures to report. Centers for Disease Control and Prevention. (2017). Health effects of cigarette smoking. Atlanta, GA: Centers for Disease Control and Prevention. Retrieved March 20, 2017, from https://www.cdc.gov/tobacco/data_statistics/fact_sheets/health_effects/effects_cig_smoking/. U.S. Department of Health & Human Services Surgeon General’s Report. (2017). Preventing tobacco use among youth and young adults fact sheet. Atlanta, GA: US Department of Health and Human Services, Centers for Disease Control and Prevention, National Center for Chronic Disease Prevention and Health Promotion, Office on Smoking and Health. Retrieved March 21, 2017, from https://www.surgeongeneral.gov/library/reports/preventing-youth-tobacco-use/factsheet.html. The 2014 National Survey on Drug Use and Health: Behavioral health trends in the United States: Results from the 2014 National Survey on Drug Use and Health. Retrieved March 1, 2017, from http://www.samhsa.gov/data/sites/default/files/NSDUH-FRR1-2014/NSDUH-FRR1-2014.pdf. U.S. Department of Health & Human Services Surgeon General’s Report. (2012). Preventing tobacco use among youth and young adults fact sheet. Atlanta, GA: US Department of Health and Human Services, Centers for Disease Control and Prevention, National Center for Chronic Disease Prevention and Health Promotion, Office on Smoking and Health. Retrieved January 31, 2017, from https://www.surgeongeneral.gov/library/reports/preventing-youth-tobacco-use/full-report.pdf. “Stigma” Merriam-Webster.com.(2017). Retrieved April 12, 2017, from https://www.merriam-webster.com. New York City Department of Health and Mental Hygiene. (2016). 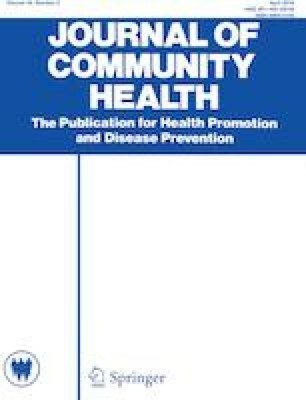 Community Health Survey 2002–2016. Retrieved July 1, 2017, from https://a816-healthpsi.nyc.gov/epiquery/CHS/CHSXIndex.html.